Healthy Neighborhoods/Healthy Kids endeavors to engage students in meaningful exploration of their community, and to provide teachers, students, and communities with opportunities for student-led community change. 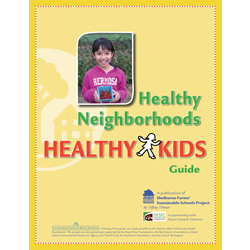 Click here to find out more about the Healthy Neighborhoods/ Healthy Kids project. You also have the option to download this guide for free.